Most of the brands are now incorporating video in their online marketing strategies. Video can be a compelling advertising tool, and it can significantly contribute to SEO strategy. The success of video in advertising achieved only when the audience can get fabulous experience. The more the audiences like the video content, the more the views, the more the likes and shares. 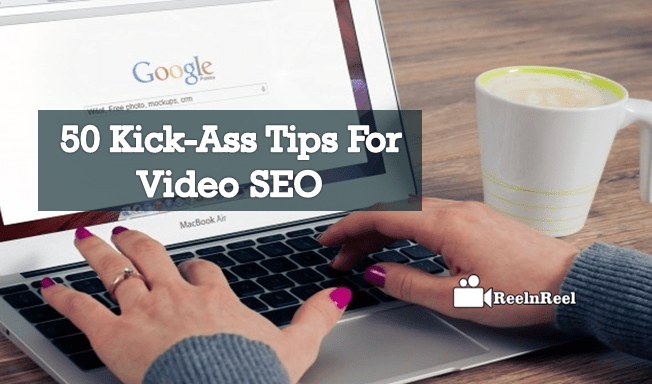 Here are few tips that will help with video SEO. Produce content that help the audience to solve their problems and provides new information. This helps in ranking well in search terms. Organize your videos well so that it is easy to browse. Have separate landing page for each of your video so that search engines can find and index the videos. The content you are providing should be relevant to the audience and add value. To improve the rankings of the website, host the video on your own domain. Add interactive elements to the video and keep the viewers engaged. Create metadata that is relevant to the video. Use short and concise video title. Write description to provide more information about the video and also use keywords in the description. Name the video relevant to the content to describe what is there in the video to the search engines. Use keyword research to discover most relevant content for the target audience. A thumbnail is capable of affecting the decision of the user whether to click a video or not. Use clear and relevant thumbnail for the video. Create shareable content and the videos that stand out from the rest. Help the search engine to learn more about the content by adding video transcription with right keywords. Create video sitemap which gives the search engines the details of and context of the videos. Video sitemap provides the details of title, description, subject, duration, country restrictions, expiration dates and many more details to the SEO and helps the video rankings. Allow the users to embed the video on their sites as this boosts page ranking. Promote the video on social media which brings in more viewers, bigger traffic and better SERP position. Don’t be obsessed with SEO but try to produce shareable, linkable, high quality, engaging and valuable content. Mobile optimization once used to be a part of video SEO but it is the central focus now. Optimize videos for mobile viewing. Choose the platforms such as YouTube, Vimeo to publish the videos as these are optimized for mobile viewing. Upload video on multiple platforms. Upload the video on YouTube also get it to rank. Use different keywords, title tags and video description for the video published on different platforms. The more text attached to the video that more search engines recognize the video. Add video transcriptions and captions to the video. Collaborate with other YouTube channels to increase exposure to target audience and link building improves SEO. Choose a professional video SEO service to optimize the video to move up in Google rankings. Create videos on trending topics but provide new angle on the topic to face the competitors. Use keywords in the title that are user friendly and friendly to the YouTube algorithm for SEO also. The first two to three lines of video descriptions are important for search engine rankings. In the first two to three lines of the description, provide the information about video content. It is also a good idea to use auto complete keyword phrases of the search engine as video description for getting higher ranking. Use the same video file name and the video title to make it easy for the search engines to index the video. To get higher ranking in YouTube search, use tags. Find right tags for the videos using tools such as Tubebuddy. Post a video on a video sharing platform and then include a second part of the same video on your website or blog and link both of them. Build external and internal links to the video. Optimize the URL of the page where the video is uploaded. Tweet about the video in social media sites. Cross link the video to your other videos that contain relevant information. Utilize the services such as TubeMogul or Traffic Geyser to spread the video online. Keyword analyzers such as Google Webmaster help to find relevant keywords for target audience. Use the video analytics tools to get the insights and make changes according to the statistics. Add videos to popular playlists on your channel. If you want to have a video in the social media page, upload the video directly as native videos rank higher on social media platforms. Share the video link with bloggers and industry experts relevant to your niche. There are many more ways to improve SEO for video content but these may not work right if the quality of the content is not good. It is the content that grabs viewer’s attention. Thus the first thing about correctly using the video is to create high quality content and then apply tips such as the above to get the content noticed by audience as well as the search engines.